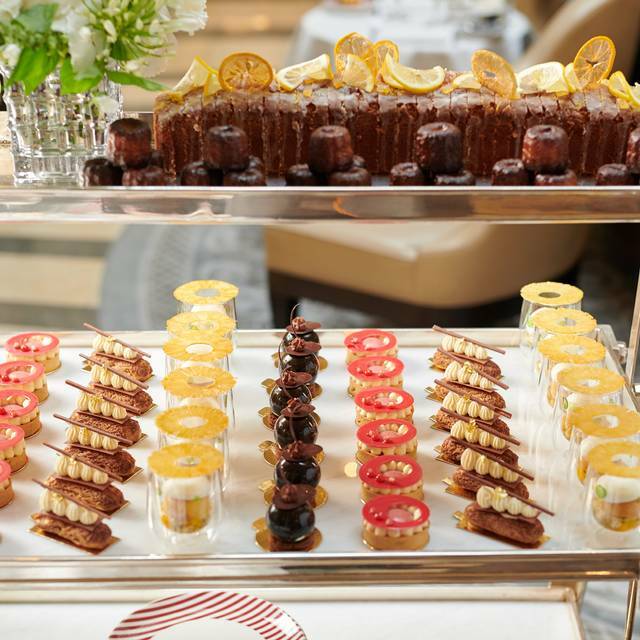 Afternoon Tea in The Crystal Moon Lounge at Corinthia Hotel offers one of life’s great luxuries. 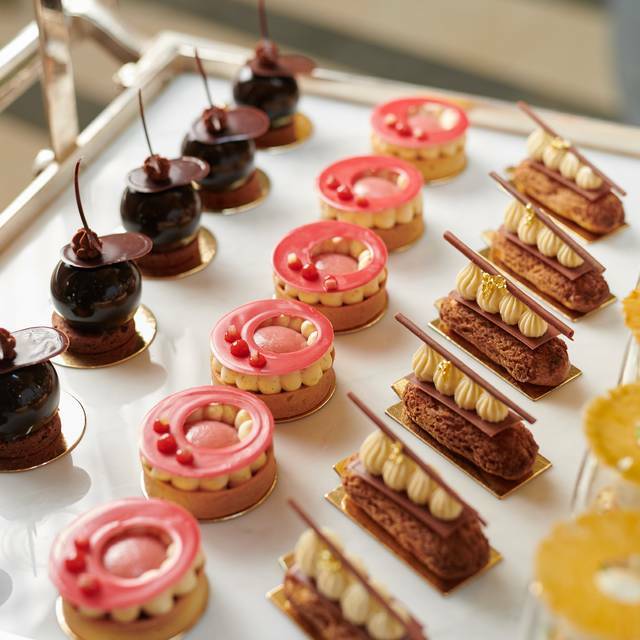 Illuminated by a spectacular Baccarat Chandelier and accompanied by uplifting melodies from a Steinway Piano, the Crystal Moon Lounge offers an idyllic atmosphere for a newly launched sumptuous Afternoon Tea. Designed to showcase individual elements of a tea ceremony and with every aspect of a guests’ experience considered, our expert Tea Master weighs and infuses bespoke tea blends for the perfect cup of tea. 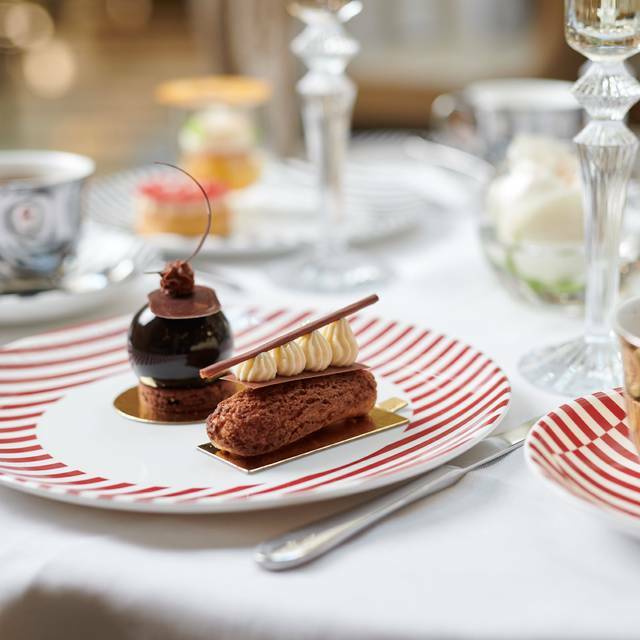 Delight in this wonderful interactive experience, with cakes and indulgent patisseries served from our heritage trolley on a bespoke line of Richard Brendon bone china. For a touch of elegance, enjoy a glass of Laurent-Perrier Brut Champagne in Baccarat Mille Nuits champagne flutes with a nod to the breath-taking Baccarat crystal chandelier overhead. Lovely venue, service, and food. Especially great selection of desserts. I’m really sad not to give this an excellent rating but it was just not the excellent overall experience I expected. The sandwiches were delicious. The scones were too. The cake trolley looked amazing but it was pretty average. Service was okay but I had to ask twice for more tea and three times to pay. I’d normally not mind this but we were off to a concert. Not quite good enough. Disappointed with the deserts, brownie was dry and rum babba was burnt. Everything else was excellent. Lovely fancy afternoon tea service. Quite a treat. Stunning venue, delicious food and second to none service! I felt they were understaffed the day we went there as we had to wait a long time for each course of the afternoon tea. We had finished our sandwiches and still no tea had arrived. . My daughter's sandwiches were a little dry, mine were fine. The staff were charming. The scones were divine with two types of jam on offer. The surrounding were lovely. This is a must do in London! Absolutely beautiful setting, exquisite service-shout out to Jasper! The food and tea are divine. The most relaxing part of our vacation. You’ll enjoy it so much, you’ll end up in one of their gorgeous bars to have a cocktail to continue the experience. The entire hotel is to die for and we are definitely staying here next visit. The pianist Kevin was brilliant and worth the visit just to enjoy his talent. Amazing afternoon just what we needed amazing food the cakes were out of this world & there was sooooooo much food. Could have stayed all afternoon listening to the piano, drinking tea and eating more cake just couldn’t fit anymore in lol. Definitely recommend 100%. Fantastic afternoon at the Corinthia for afternoon tea, service was fantastic, food was lovely and the ambiance was perfect. The perfect way to celebrate my wife’s birthday.. Fantastic experience on mothers day here. We usually go to The Langham but we have found a new venue for afternoon tea. Amazing staff, delicious food (freshly made) and they also gave every mother a lovely hydrangea to take home. Was a great day! Beautiful setting with gorgeous floral displays and tables nicely arranged so that it was not too noisy and we could not be overheard. Food was delicious and service extremly curteous. However, it took quite some time for us to get our initial pots of tea and we were also left with cold tea when this should have been replenished. There was also an issue with the sweet rolley so again there was some delay before this arrived. The room was beautiful, the crystal champagne flutes were impressive. But the afternoon tea was disappointing especially the scones which were more cakey then fluffy scones. And the sandwiches not that exciting. Sweets were better. Service was friendly and attentive although the tea took a while to come out which is not great for an 'afternoon tea'! We had a late table for afternoon tea after the theatre! 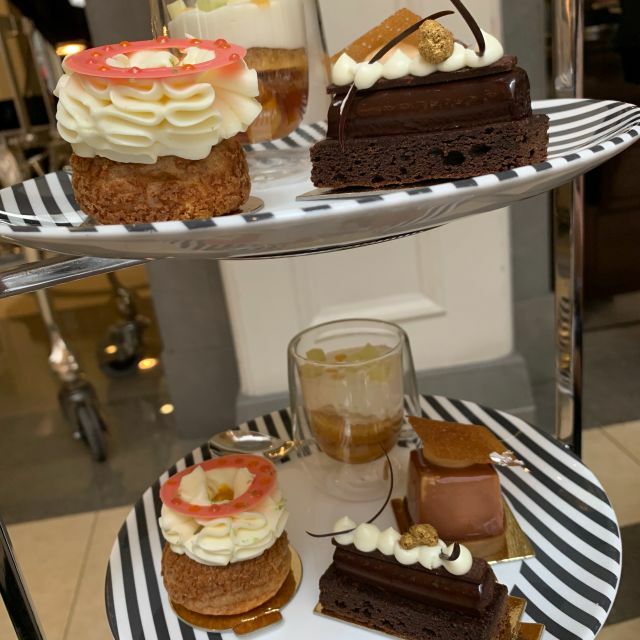 The food and service was everything you would expect from the Corinthia and it is definitely the best afternoon tea in London. Highly recommended. If you like tropical flavours the mango tea is a must. 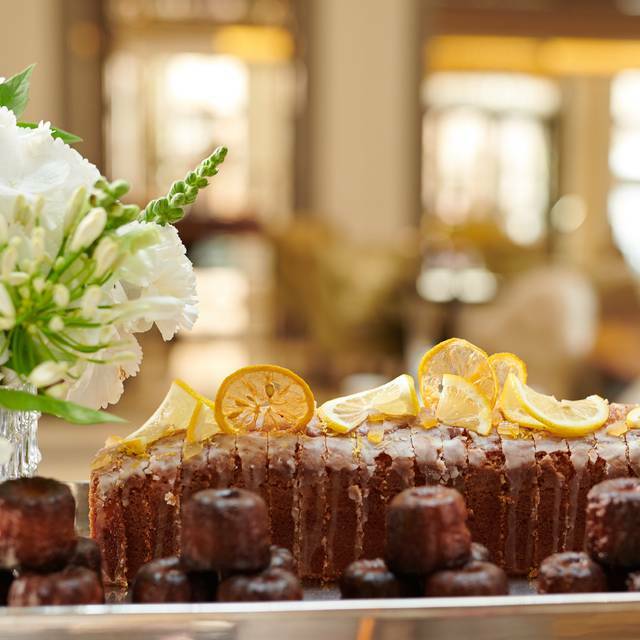 This was a classic afternoon tea with a twist. Beautiful settling, attentive staff and wonderful food and ambience! Had a wonderful time, will be back. Went for the afternoon tea. Although the area they use is small, a little breezy sometimes when the doors open at the main entrance, you forget it all when the food comes out. The service is top notch, everyone is friendly attentive but not over attentive. We felt relaxed and the staff made us feel welcome and not rushed. Food is all fresh, we couldn’t eat everything but they are happy to box it up for you. 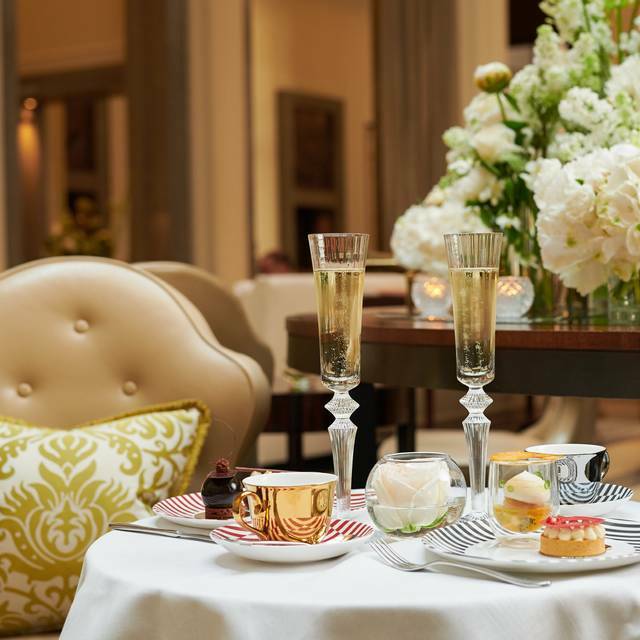 One of my top 3 places for afternoon tea in London. Will be back. The best afternoon I have ever been too!!! Amazing customer service and the food was freshly made. A special treat for a birthday, we arrived a little earlier than our booking, but this was not a problem and we were shown to our table. We were allocated a lovely waitress who took us through the Afternoon Tea experience and we went for the champagne option. Lovely heavy glass flutes were filled and our special drinking tea was ordered. We were given a selection of rather lovely sandwiches - all very tasty - with an option for more on completion which we went for which were served to us. We both went for another salmon finger sandwich. Our plates were then renewed and scones arrived in a cute box to keep them warm with clotted cream and two choices of preserve. All yummy. Tea had also arrived which was delicious. We were beginning to struggle but there was a choice of three pastries as part of the afternoon tea, which we did choose, but in all honesty we were stuck and asked the waitress if we could take them home. They were beautifully packaged and handed back to us, but just prior to this, a special plate arrived for my sister with a candle in a rather delicious looking chocolate pastry to wish her a happy birthday. A big surprise for her. I had mentioned this on booking and when we arrived, and un-prompted this was organised by the hotel. Fabulous. 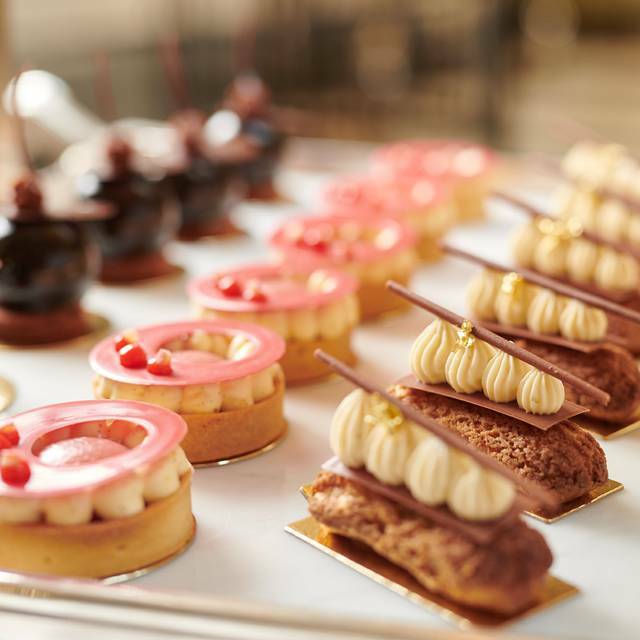 The afternoon tea at the Corinthian is an experience. The beautiful chandelier, the gorgeous china and plates (the story of these was explained to us) You sit in a non restaurant area, but possibly it would have been nice to have had the option to sit at a table rather than the relaxed low chairs, but all other tables were booked, so if you need to sit up better to ask for a table when booking. 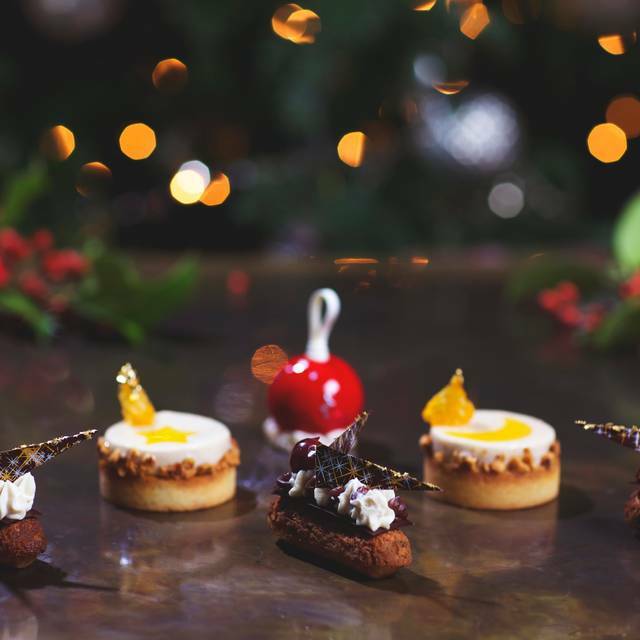 Also what might be nice is to offer a savoury option to scones (you get two), to balance the sweetness of the afternoon tea experience, or even a savoury afternoon tea. A once in a lifetime treat. Amazing food staff and hotel. Very nice place the staff were very friendly and the food was nice but not out of this world, we had high expectations when your paying £120 for afternoon tea. But food the just kept coming so not to bad. Every morsel was the perfect texture and balance of flavours. I’m not personally a fan of wasabi in egg sandwiches but that might just be me. The chicken sandwich was my fave. The service was very attentive and quick. I might have preferred a slightly more relaxed pace and not to have the tea cup topped up quite so regularly but I guess that was for me to decline. I really liked that a choice of cakes was offered at the end and the unwanted ones taken away. I was also delighted that they allowed us to take a couple of the cakes home with us. It’s a beautiful hotel and lovely tea set. We had a lovely time and the food was very good along with excellent service. My only negative comment would be that when the scones arrived for my husband, who is a coeliac, they looked horrible, a pinky grey colour which having seen/made scones many times I thought how is it possible to make scones this colour. My husband did say they tasted far better than they looked so this was good to hear. Overall we had a good experience. Fantastic! Highly recommend. On a par with Claridges and that takes something! Food excellent on all accounts. Drinks too, great selection of teas, champagne excellent! Great service, staff very attentive. 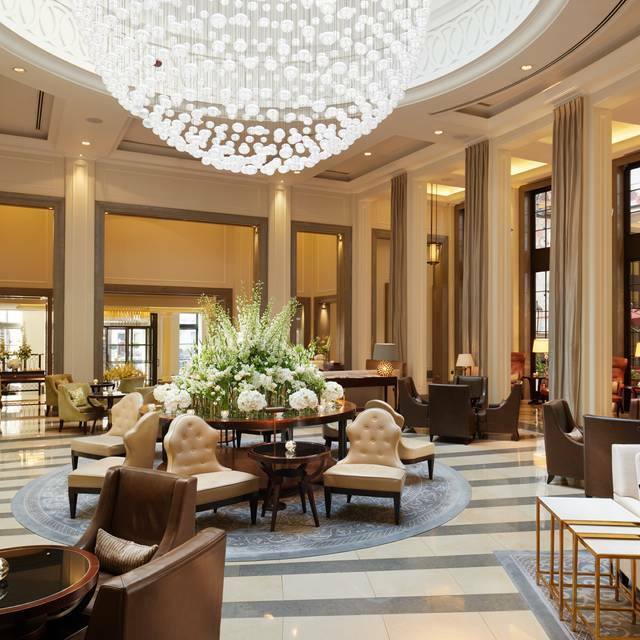 We had a fabulous time at the Corinthia Hotel on Sunday 3rd March. This was a Christmas present for my Mum and Dad and also to celebrate mine and my sister's birthdays in March. The food was delicious and service was excellent. The only tiny point to make was that where we were sitting there was quite a draft coming through each time the main reception doors opened. Other than that we really enjoyed every minute and would definitely recommend. It was a birthday present from my husband. The whole experience was so nice and our waiter was lovely. I would definitely go back and maybe stay next time! Absolutely amazing. Not only was the setting beautiful but everything on the menu was so tasty. Credit to the chef. The waiters etc were superb and always there if you need anything. Will be coming again! 10 stars!! Highly recommended! An amazing place to enjoy a refined afternoon team! Although the service was very good we were disappointed where we sat as it felt like you were in a corridor. We could not fault the food as you could have as much as you wanted. We started with a glass of champagne with our sandwiches and when we were ready for a scones we requested our tea however we had finished the first batch of scones before our tea. Overall enjoyed our afternoon.